Alex and I try to save money wherever we can. I’ve written previously about some ways we reduce our budget every year, but today I wanted to share about grocery shopping specifically. It will never cease to amaze me how fast money can be spent on food! 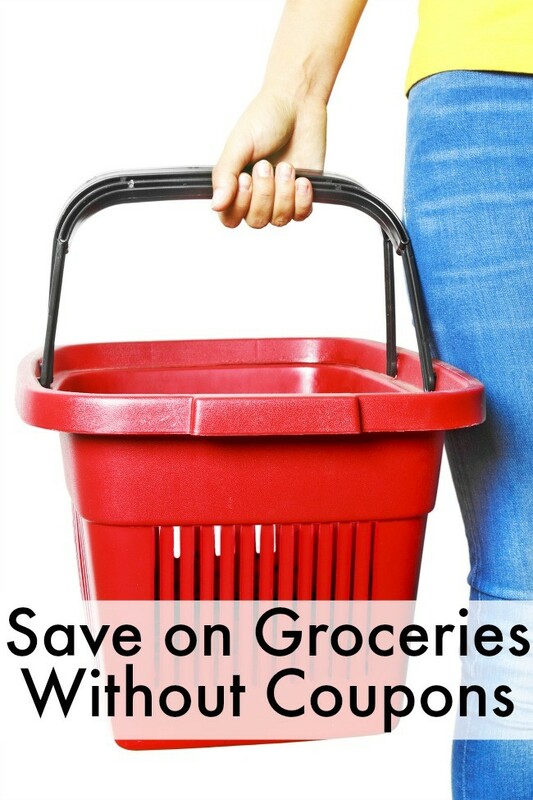 So here are my top 8 ways to save at the grocery store! 1. Half your meat – Most recipes can easily be altered to use less meat. I do this with most of the casseroles I cook, and they usually don’t have to be ‘edited’ in any other way. Instead of using 1 pound of beef or what not I use a half pound and save the other half for the next night’s recipe. The flavor is still nice and meat-y and we save a lot of money every week this way! 2. Bake your own bread – This is not something that I’m currently doing, but I’ve done it in the past and it saved us a lot of money every month. Bread can be expensive, especially depending on what type you buy! We buy bread for a bit over $2 a loaf, but I could bake my own for about 50 cents a loaf. BIG difference, and can make a huge impact on your grocery budget if your family really likes bread! (my boys LOVE it!) I used this recipe when I was doing it. It’s an easy and fast recipe that makes really yummy bread! You don’t even have to worry about kneading the dough! 3. Meatless meal – Do one meal a week without meat. Meat makes up a majority of the cost for most meals, so even just doing 1 meatless meal a week could save you a lot in the long run. Do a meal like beans & rice, meatless spaghetti/Alfredo noodles, a lot of fresh veggies/potatoes (Baked) or even breakfast tacos. So many tasty (and easy) meals don’t require meat and that can really reduce your overall grocery cost. 4. Shop sales – Only buy produce that is on sale. If you familiarize yourself with the average price of fruits/veggies that you like you an easily shop accordingly. We eat fruit and veggies by the season, and sometimes I will change our menu to plan around an extremely cheap veggie I found in the store. Plan to be flexible if there are good deals on ingredients to something that you know how to make. 5. DON’T shop aisle end caps – You know those “great deals” on the end caps of aisles? You are just walking by and then you see something and think “oh yeah, I need that!” and so you grab one and keep going? I don’t know why we automatically assume it’s a great deal if it is on the end, but I’ve noticed that most of the time it is not. Many times it’s an awful deal and if you go search for that item actually on an isle you can find the same thing (different brand) at a much lower price. So when you see something you are forgetting, go and find the product where it is normally located in order to find the best price. 6. Buy “off” brand – Do I even need to say this one? Don’t always buy name brand. Be willing to experiment with the off brand stuff, and you will end up saving a lot of money. Target brand (up & up) diapers are amazing, and they are half the price of name brand. Walmart whales (equivalent of goldfish) are actually better in my opinion, but they are much cheaper. There are so many great products that are not name brand, be willing to try and see what your family likes. 7. Stock up when there are sales – If something that you use regularly is on sale, buy as much of it as your budget will allow. This month Chicken was half the price it usually is, so I stocked up and filled our freezer! We will be eating mainly chicken meals for at least the next month (depending on how long the sale lasts), but we are also saving a LOT of money. 8. Buy some treats – Okay this may sound counter productive but hear me out. Find a healthy limit to “treat” food (ice cream etc) and stick to it. If you cut out all of the special foods you will end up splurging by going out to an ice cream parlor or hitting up the grocery store another time in the week to pick something up (and we all know it is impossible to go to the grocery store and leave with just one item). I keep our treats/junk food limited to 1. We can only have one sweet/sugary/’treat’ in the house at a time. I will not buy more than one a week and I will not buy any more until the first is GONE. meaning if it lasts longer than a week, I won’t buy anything else ‘special’ the next time I’m shopping. This keep us disciplined, healthy, on budget and enables us to enjoy special desserts and treats a few times a week. If you are looking for more ways to save while you shop, use ebates to get cash back! Have you tried any of these? Or do you have any great grocery-budgeting tips of your own? I love hearing your input! Even more budgeting tips – learn how to survive, and thrive on one income! and CRAZY money saving tips for every part of your life, here! 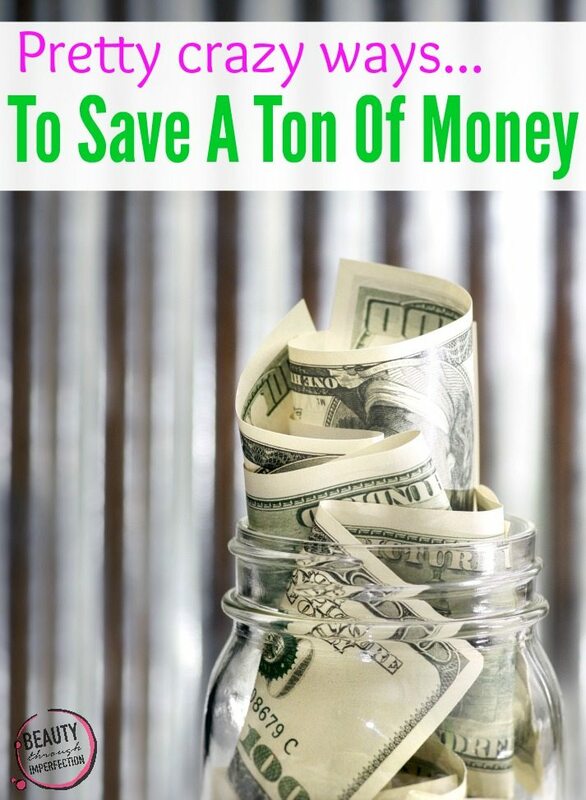 I am SO glad to read a post about how to save money without couponing. I get stressed out just thinking about couponing and sometimes feel like it doesn’t even help the budget. I go with meal planning and sticking to my list. 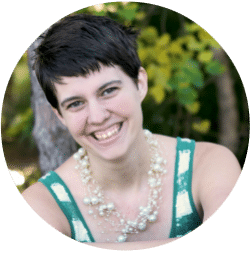 :) I found you on timewarpwife’s linkup (love your toddler family time list!) and subscribed to you on bloglovin’. I am looking forward to reading more of your posts! Amen to Rachel’s comment about couponing sounding stressful! I’m just happy if I feed my family, much less clip coupons to do so! But I do try to do some of these things too. Unfortunately, groceries are really expensive in the Bay area! How I miss having a nearby Walmart. :) Anyway, that’s awesome about your one-treat-at-a-time rule! Brilliant! I even gave couponing a chance after reading things over at moneysavingmom.com and frugallivingnorthwest.com with linkups of store prices and coupons in the Sunday paper. Then it just got to be overwhelming and I quit. Groceries are pretty expensive up here in the PacNW too but our Walmart is by Cabela’s so my husband is MORE than willing for me to do my grocery shopping there (read: he takes the baby to Cabela’s while I grocery shop). that’s awesome! A chest freezer is one thing I’d like to get when we get a house! Seems like it would help a lot to stock up and save ! Great tips! I’ve also found that menu planning helps, as simple as it sounds. Then at the store I only buy from my list. By menu planning I’m able to use that whole can of evaporated milk over two recipes or something like that. I’ve also started making somethings, like tomato sauce and chicken broth from scratch. It’s fun, cheaper and I like knowing what’s in it! I love the suggestion to cut the meat in half. Most of the time, my fam. doesn’t even notice. OR, since I don’t really like meat, often times I’ll make half the recipe with meat and half without, which, again, uses 1/2 the meat, but the meat lovers get it all! I love the Wal Mart Whales, too. Or there are some Penguins that are good and cheap. I always try the cheap brands to see if they’re good, but there are some things I’ve found that it’s not good to go cheap on. The cheapest sauages always seem to have a bad texture/taste. And I bought the Adams’ brand of coconut extract, which is very cheap, and it was terrible. I’m going with McCormick on that one from now on. Spices I’m kind of all over the map on. I order cinnamon online because the good stuff (Vietnamese cinnamon) is really that much better. But I’ve found it doesn’t make that much of a difference for a lot of the other spices. Some I buy the generics, some I buy the brand names. Great tips here! I used to bake our own bread and go out of the habit. I love the tip about using less meat. I tend to do that but will have to do it more. I also use the meatless meals (much to my husband’s disapproval…he’s a meat man lol). These are really great. :-) I always buy off brands. I tend to shop at our Walmart for everything I need that’s not on sale somewhere else and buy the Great Value brand. Unless something is on sale at another store Walmart’s prices on their brands are unbeatable and they are in close comparison quality wise to the name brands. Thanks for your post. I don’t use coupons right now, so I’m always looking for ideas to cut our grocery bill. Great ideas!!! I have to go grocery shopping on Monday – so I will remember this! Great post! I already follow all of these tips, but it is nice to have a reminder since it is so easy to get lazy about grocery shopping and going over budget! Wow! Thanks so much for this tip! I’m a new wife and momma and our budget is EXTREMELY tight at the moment so I’m always looking for ways to save on Mulah. I found you through the Link-up and am now a new follower! Thanks again! This was really helpful, especially the heads up on Target diapers. It is a long ways away but will help when I’m out that way. Excellent! I also suggest: meal planning (or building a full pantry and ‘shopping’ from that) and looking at all the disposable items used in the home and swap them out for reusable. those are great ideas!!! thanks Kate! Speaking of lightening up on the meat, a lot of times I use mushrooms in place of half the meat—like with spaghetti, etc. They give a good, rich flavor and are filling. Thanks for the bread recipe! These are great tips. 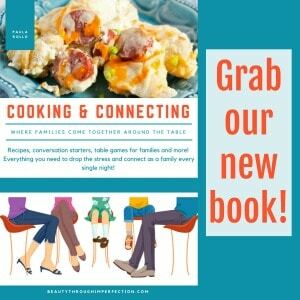 Hope you’ll consider linking with my Homemaking Party tomorrow! smart! I’ve never done that, i will have to give mushrooms a try! Thanks for sharing!!! I love item number 8! What a great idea!!! I will definitely be including that into our shopping habits. Great advice! I do use coupons, but I find only a few for things I am willing to buy–most are for weird processed and overpackaged foods that I don’t want at any price. Here are my tips for saving on groceries. I agree with Sarah that mushrooms can substitute for meat in many ways. We love the burger recipe from My Sister’s Pantry that uses nuts and mushrooms to make a burger that has flavor and texture oddly similar to a hamburger, without the yucky gristle! Even though I live in Europe, this is very useful. These are great ideas! I’m always looking for ways to save at the grocery store, but never have luck with coupons. Thanks! These are such great ideas, Paula! I love saving on groceries, but I’m not a big coupon girl. Thanks so much for sharing! I also like to use cash when I shop for groceries. I get my grocery cash at the beginning of the week, and do what I have to do to make it last. Something about seeing the actual bills in my wallet keeps me on budget. Have a wonderful weekend, and Happy 4th of July! Visiting from the blog hop today. I love these ideas, especially the one about only using half of the meat for each recipe. What a great suggestion! Very useful post! Pinned it! Thanks for sharing at All Things Pretty! Thank you so much for sharing your post @ Pin It Monday Hop. It is still open, please come by sometime when you get the chance and check what other Bloggers are sharing. See you! Couponing can be fun (AND stressful), but I found I had better luck with non food items. We try to eat as whole and organic as possible and it’s hard to find coupons to help you out, but this list is great! I love the idea to use 1/2 the meat called for in the recipe. great tips! Thanks for sharing & linking up @ DearCreatives.com & Happy 4th! We try to use a rotating menu, so I generally know what meats we buy and what their prices are. When things are on sale or mark down we stock up. I also like to have an “empty the pantry” challenge once a month, where we only buy milk at the store and otherwise live off of what we’ve already got. I do all these tips and I still have a problem with grocery shopping I have 150.00 to spend a month and I find it very hard to get everything I need. We are a family of 5 but two are still really little. Paula, thanks for the common sense tips! I don’t have time to do the coupons…like others, I try to go with meal planning using what is available. I find that our local Meijer store puts its sale items on the end caps. It took me awhile to figure it out, but I was going to get the sale item and it was gone from the shelf. When I asked an employee, I was always directed to either an end cap or the display in the middle of the aisle. The most helpful way to save money when I am shopping is just going to the basic list after checking my pantry, meal planning and giving a budget for the week such as $60 maximum . Sometimes I don’t have a list or plan so my husband and I will actually calculate each item as I add it to the cart and before checking out we can pull out or trade items that we don’t need for what is needed or more favored so we stay in our budget. I notice when I don’t add everything up after each item I get a larger bill and feel too embarrassed to put things back at that point. So this was my way of over buying and impulse buying which always doubles to triples my desired spending. Also weighing everything!! Gotta weigh it to know what you’ll be paying. When you see the total creeping up higher it will deter you from putting more in the cart! My best tip is to invest in a yogurt maker! In our family of two we’ve saved $500/year in our first year of making our own yogurt! I’ve slacked a bit this year and slipped into buying, but I’m hoping to start again this year. I found that planning meals ahead can save more on groceries bill. For meatless meal, have you tried tofu and tempeh? These two are made from soybeans, but they are ‘meaty’ enough for a meat replacement. I use them a lot in our menu and our family loves them. You should try too! Hey Buddy!, I found this information for you: "Ways to save on grocery bills". Here is the website link: https://www.beautythroughimperfection.com/save-on-groceries/. Thank you.